The Webb Schools offers a competitive interscholastic athletic program for students of all skill levels with 42 teams participating in 15 sports. The Gauls compete in the California Interscholastic Federation (CIF). As one of the top leagues in its division, Webb traditionally qualifies teams and individuals to post season competition. Webb teams own 80 league titles and 3 CIF titles. Webb athletics, built on the school's core value of honor, promotes character, self-confidence, and a sense of commitment that inspires student athletes to become leaders throughout their lives. USA Water Polo has announced Marcelo Leonardi '94 as the Midwest Zone recipient of the Sandy Nitta Distinguished Coaching Award. 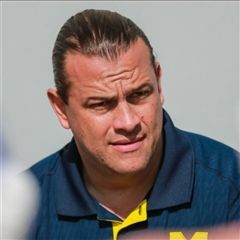 Leonardi is the Head Coach of the women's water polo team at the University of Michigan. Collegiate athletes Wilson Parnell '13, McKenna Lamb '16 and Nick Jung '17 have each been recognized for their outstanding athletic and academic achievements. 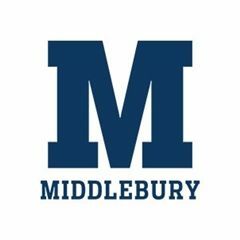 Emily Chu '17, a freshman at Middlebury College, has earned the April 9 women's collegiate club New England Division Player of the Week award. After Hurricane Harvey ravaged Houston, Marina Lesse ’09 stepped up to help, collecting more than 1,000 pieces of soccer gear for children affected by the storm. After Daniel Crisostomo ’15 helped the University of California, Irvine men's soccer team post two shutouts last week, the junior midfielder was named Big West Men's Soccer Defensive Player of the Week Monday. What's in store for Webb's fall sports? Take a look! Take a look back at a spectacular year in numbers and highlights! *As of graduation week, here is a list of plans that our Webb Seniors have for their athletic careers at the next level. Three League titles, Webb's first ever state badminton player, two 100-win coaches, and a dramatic run in CIF for Softball higlhight a huge spring season. Thursday, May 25th marked the end of competiton for Webb athletics in 2016-17. Adrian will play both football and baseball for the Rams. 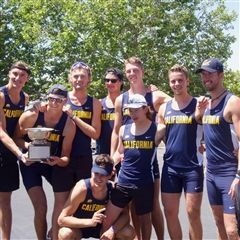 UC Berkeley freshman Ray Dahlstrom '16 helped the Freshmen 8+ crew to a Pac-12 Championship on Sunday. Baseball fights for playoff spot after nearly pulling off huge upset. Spring Teams prepare for CIF. Boys Tennis claims league singles title as one of five teams starting section playoffs in next week. Dylan Wensley '17 (VWS Soccer), Wyatt Albert '17 (WSC Soccer), and Mary Davis '19 (VWS Water Polo) all named league Most Valuable Player! "I was floored", says Martinez, who saw both VWS and WSC Tennis win league titles this year. Track and Field sends 30 to League Finals, Badminton hosts playoff tournament, as spring teams prepare for postseason across campus. Coach Jeff Stodgel hits 100 wins as WSC Baseball coach. 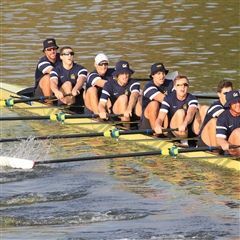 Ray Dahlstrom '16 was part of the Freshmen 8 crew that helped Cal sweep the Stanford Invitational on April 14-15. Stodgel notches historic win as Webb beats Rio Hondo Prep over Spring Break. Congratulations to Aaron DiGiamarino '13. 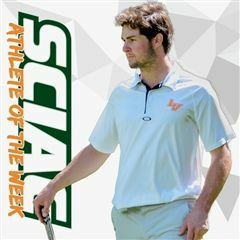 The Southern California Intercollegiate Athletic Conference (SCIAC) named him Athlete of the Week for March 29, 2017 in men's golf. Webb School of California Varsity golf is off to a 12-1 start and playing a very tough match this afternoon at Avalon. They've competed in warm sun and driving rain alike, lets take a look at how Webb Track and Field has been doing. Webb School of California Varsity Tennis is off to an incredible 13-1 start this season. Check out this video montage to recap the first half of the season. It is now live on our NFHS Network Page. Spencer Stewart '17 finishes 2nd in Southern California-wide vote for male athlete of the week. Dominating wins for Baseball, Softball, and WSC Golf. Recaping the first weeks of Spring Athletics at Webb. Vivian Webb Softball begins its San Joaquin League title defense with a new manager. Ron Smith has been a softball coach in the Inland Empire for nearly 30 years. Over that time, 50 of his former players have gone on to play Division I college softball, and three have made it to the Olympics. Ron most recently served as a hitting coach at Riverside City College prior to coming to Webb. Webb School of California Volleyball will be looking for its first winning season since 2012. Second year head coach Howie Kalter, who went 6-10 in 2016, says his players have been working hard day in and day out in practice leading up to the start of the season. A recap of Webb's winter sports: basketball, water polo, soccer, wrestling, and triathlon. Webb School of California Baseball looks to be in prime position of reaching the CIF-SS Division Six playoffs. The 2017 Gauls return six of nine starters from the 2016 team that went 13-9, finished in third in the San Joaquin League, and was eliminated in the first round of CIF. Webb School of California golf has a total of 10 players this year and started the season with a 217-235 loss at Pasadena Poly on Thursday. Webb Badminton boasts an incredible 53 athletes on its 2017 roster, or roughly 1/8th of The Webb Schools’ student body. Already off to a strong start thanks to Friday’s blowout win over Artesia, Webb Swimming and Diving could be setting new school records throughout the year. Webb Track and Field enters a new era under first time head coach Chanel Parker. Already off to a 4-1 start on the year Webb School of California Varsity Tennis will look to match last year’s run to the quarterfinals of the CIF playoffs. Check out video of Webb competing on one of Los Angeles' biggest Triathlons. Webb School of California football has its first official college commit as team defensive leader Apollo Thomas will attend Pitzer College in the fall and play for Pomona-Pitzer. The Webb Schools held a signing ceremony for Apollo on Monday, February 13th on campus. Vivian Webb Soccer defensive star Alex Wilson ’17 made it official last week in committing to play for Claremont-Mudd-Scripps in college. Two Webb Football players participate in inaugural 215 Football All Star Classic. As the seniors from Webb Football make their college decisions and, potentially, look to further their careers on the gridiron, two of them represented the Gauls in the first ever 215 football All-Star Classic. On Monday, January 16th, the Gauls had more reason to celebrate, as senior leader Chandler Luebbers ’17 officially signed to play water polo at Occidental College in Eagle Rock. Luebbers was accepted to Occidental early decision and says she will either pursue a degree in marine biology or history with a minor in political science. A pair of Webb School of California fall athletes have landed on the all area teams for their sports recently complied by the Inland Empire Daily Bulletin. Congratulations are in order for the 16 VWS athletes and 20 WSC athletes who earned all-league or league MVP honors during the Fall 2016 season. Monday December 5th marked a milestone in the career of longtime Webb School of California basketball head coach Rick Duque. 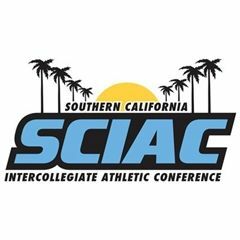 Friday December 2nd marked a major accomplishment for The Webb School of California varsity soccer team. Before we head into winter, here's a recap of a busy first few months for Webb Athletics this year. Elyse Morris ’17 is officially headed to St. John’s University on an NCAA Division One softball scholarship. Jordan Fuelling ’17 capped a phenomenal senior season as captain of Vivian Webb Varsity Volleyball by signing an NCAA Division One scholarship to play for The University of Hartford (CT).